The UK progressive / psychedelic folk rock band Comus began with the meeting of Roger Wootton and Glenn Goring, both aged 17, at Ravensbourne College of Art in Bromley, Kent in 1967. 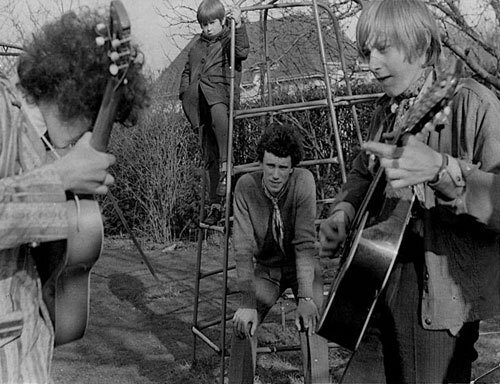 They both played guitar, and shared a liking for the work of John Renbourn and Bert Jansch (who were forming Pentangle at about this time), and for the Velvet Underground. Glenn and Roger began playing at local folk clubs, (Velvet Underground numbers didn’t go down too well), and on a visit to the local club in Beckenham, the Arts Lab, they become friendly with the organizer, one David Bowie. Glenn and Roger started playing regularly at the Arts Lab, laying the foundation for what would eventually become Comus. Whilst at Ravensbourne, Glenn and Roger met Chris Youle, (later to become Comus’s manager), and violinist and media student Colin Pearson, the first recruit for the new band. Comus was first suggested as a band name by Chris Youle who had been studying Milton’s masque of the same name. Inspired by the character of Comus, Roger began working on some of the songs that were later to appear on “First Utterance”. Bassist Andy Hellaby was the next person to join the band, after an approach by Glenn and Roger at the Beckenham Arts Lab where he had been playing with another group. Shortly afterwards 16-year-old singer and percussionist Bobbie Watson was also invited to join, after she was overheard harmonizing some music during a visit to the house in Perth Road, Beckenham, where Roger, Glenn, Andy and Chris all lived. The sixth and final member of the original band, flautist Michael Bammi Rose, responded to an advertisement placed by Comus in Melody Maker. He would come to ‘rehearse’ at the house in Beckenham, accompanied by a Jamaican Rastafarian contingent from Brixton, which included the now legendary trombonist, Rico. Mike’s time with the band was fairly short however, and on leaving, he was replaced by a friend of Colin and Bobbie’s called Rob Young. Though Rob’s first instrument was the piano, he taught himself flute, oboe and bongos in order to play with Comus. Thus, by the beginning of 1970, the classic ‘First Utterance’ Comus line up of Roger, Glenn, Colin, Andy, Bobbie and Rob was complete. The residency at David Bowie’s Beckenham Arts Lab continued, giving Comus time to both gell as a band and to hone their live set. Chris Youle meanwhile set to work booking gigs, tours and promotion across the U.K . Audiences quickly recognised the passion, originality and breathtaking musical quality of a Comus performance, and the band soon became a favourite on the college circuit. 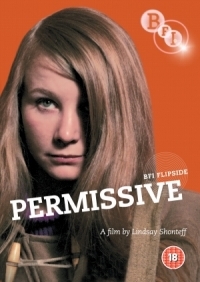 At this time Comus auditioned for the Canadian director Lindsay Shonteff, to write the score for his feature film ‘Permissive’. Shonteff was impressed as much with the music as he was with the way Roger continued to play and sing even though he had slashed his finger on the strings of his guitar, splattering real blood while performing Drip Drip! Later, they went on to write and perform the score for ‘Big Zapper’ in 1971 and after the demise of Comus, members of the band scored subsequent films for Shonteff; ‘Zapper’s Blade of Vengeance’ in 1973 and ‘Spy Story’ in 1975. By June 1970 Chris Youle had secured a recording deal with the Pye/Dawn label after Comus had performed a prestigious gig at the Purcell Rooms, part of the Royal Festival Hall complex on London’s South Bank, supporting David Bowie, who, at the time was enjoying the success of his first hit “Space Oddity”. In February 1971, ‘First Utterance’ was released, preceded by the ‘maxi single’, ‘Diana’, both with original sleeve art by Roger and Glenn. 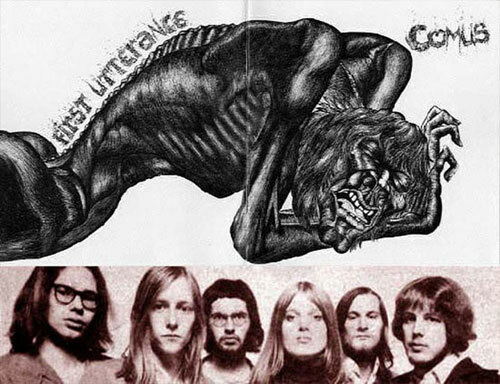 A combination of circumstances led to the album failing to break through commercially, and although Comus continued to tour in the U.K.and Europe, the momentum of the band began to wane. Rob Young was the first to leave in July 1971, and, although he was ably replaced by bassoonist Lindsay Cooper, Comus broke up in 1972, following the loss of manager Chris Youle to Polydor Records in Germany. Tantalisingly, just weeks before leaving the UK for Germany, Chris Youle had tried to secure a second album deal for Comus with Pye to record the legendary but regrettably never recorded ‘Malgaard Suite’. Three of the original band members, Roger, Andy and Bobbie did, however, re-convene in 1974, at the behest of the newly formed Virgin label, to record a follow-up album, the hotly debated ‘To Keep From Crying’. Once again commercial success eluded the group, and Comus disbanded. For thirty four years. 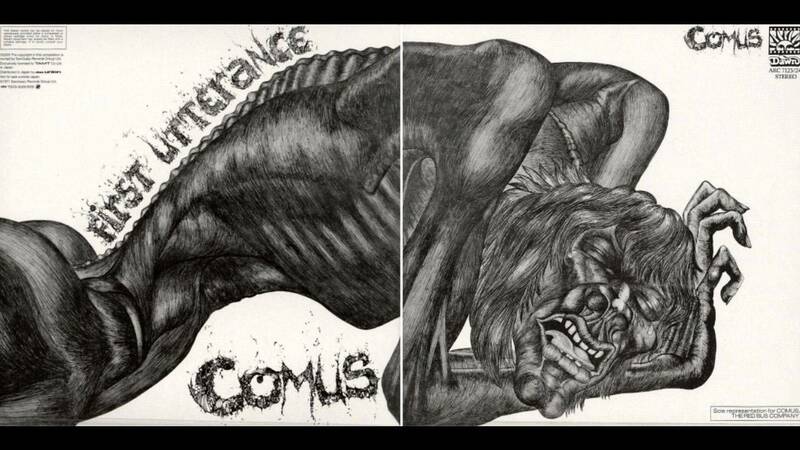 In 1995 ‘First Utterance’ was re-released in the UK on CD, and other releases followed in Italy and Japan, culminating in the release of a double cd in 2005 featuring both albums, the maxi-single and a few other tracks – in fact everything that Comus had ever recorded in the early 1970’s. To celebrate this manager Chris Youle managed to bring all the original members together for an emotional reunion late that summer. Some had not seen each other for over 30 years. With the growth of the internet, enthusiasts had begun to share their enthusiasms online with fellow enthusiasts. Specialist interest web sites and forums had been launched to discuss myriad topics, including influential bands and overlooked recorded gems. 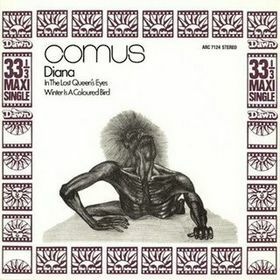 Fuelled by the various re-releases around the world, hits for the name ‘Comus’ continued to grow in number on search engines until, by 2007, references to Comus were legion across the internet. The new found popularity of the band was helped in no small way by Swedish guitarist and vocalist Mikael Åkerfeldt, with his much respected metal band Opeth, who would often make references and dedications to Comus at Opeth gigs. Mikael had been obsessed with the band for many years, even naming one of Opeth’s albums “My Arms, Your Hearse” , a quote from the lyrics of the Comus song “Drip Drip”. And so it was that in the spring of 2007 Glenn Goring received an email from Mikael’s great friend and concert promoter Stefan Dimle, another dedicated Comus fan from Sweden. The rest is, as they say, history. The classic ‘First Utterance’ Comus line up was cajoled and enthused back into an entirely unexpected reformation, though Rob Young decided not to go ahead into the rehearsal stage. Bobbie’s husband, Red Square reeds player Jon Seagroatt, was drafted in to take Rob Young’s place, and in a curious echo of Rob’s own induction into Comus, Jon taught himself flute and percussion especially for the band. Remarkably, both Chris Youle and original Comus tour manager, Wilf Wittingham, also returned to take up their former posts with the group. 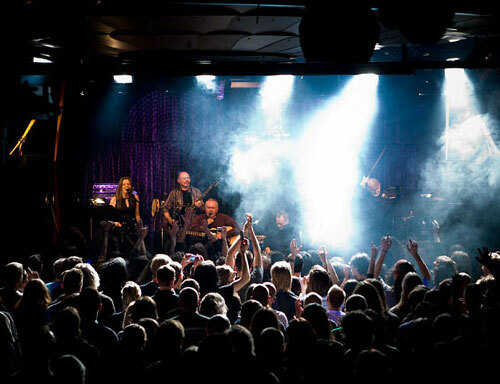 Comus played live again for the first time in thirty four years at Stefan Dimle’s Melloboat Festival on the 9th March 2008 to a tumultuous reception. A DVD of their electrifying performance at the festival is available. And of the next thirty four years……? Hello. I’m from Argentina and have only recently discovered the band. I would like to ask you to upload to this page a HQ scan of the DIana Maxi. I love your artwork and I can’t find a good pic of the cover anywhere. Thanks a lot for your music. Thanks for your comment. Good to hear from you. I’ve emailed the other members of the band to see if anyone has a copy of the single that they could scan for you. Hi Jon, thanks for answering so fast. I can’t believe I’m actially talking to a member of the band. I hope you all are doing well! Cheers. cant believe this album escaped by me, until now, it’s brilliant. Thanks, Stew; good to know that people are still newly connecting with the album after all these years! I’ll pass your comment on to the rest of the band. Words can’t describe how good this music is. Thank you so much. Have you thought about putting First Utterance on Spotify, though? Thanks for your kind words, GV! Unfortunately the band do not own the rights to the original 1971 recording of First Utterance – though the band do retain their songwriter’s rights. The rights to the 1971 recordings were owned by Pye and were sold on to other companies. We think the rights are currently owned by Universal, so Universal get to decide what happens to the recordings…..